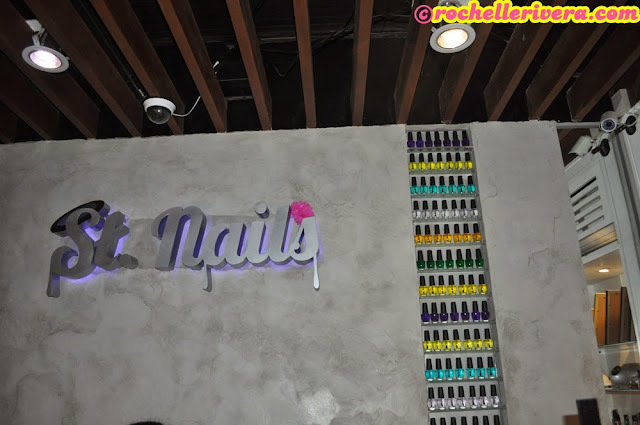 I also love that according to St.Nails, "For every service that client avails, a certain percentage of sales goes to Gawad Kalinga Silver Heights, Caloocan City, to help in building homes for the less fortunate brothers and sisters. that they aimed at realizing the potential of every individual to be "living saints" for others. 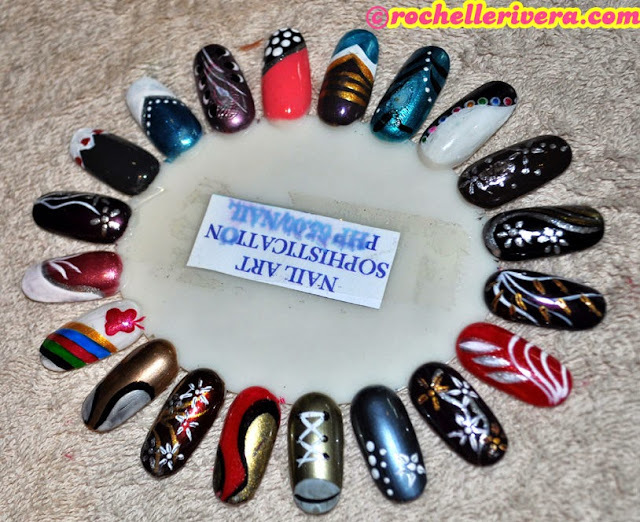 Clients are not just rewarded with a pampering experience to make themselves look and feel beautiful through their nails, but they are made partners in making the Philippines a better place to live in." I love that they put herbal hot compress on my shoulder to soothe and relax my aching muscles. They also soak my hands first then scrub it and rinse. Oh la la! I love that Ms. Nina was gentle on cleaning my nails. ♥ She was also kind, friendly and well trained. I also love that the tools they used were sterilized and sealed! She opened the set in front of me, so I am sure that they are using well sanitized equipment to prevent from getting any bacteria or infection specifically fungus on my nails. then I had Paraffin Treatment on my hands. Paraffin moisturizes and softens the skin, and is used to treat calluses, eczema, and general dryness. The heat can soothe aching muscles and ease pain from conditions like arthritis and fibromyalgia, as well as minor injuries. Even if you aren’t suffering from any medical conditions, a paraffin pedicure leaves your skin feeling soft and rejuvenated. Paraffin wax is a petroleum-based wax. WARNING: Paraffin treatments are not recommended for those with diabetes, high blood pressure, or varicose veins. If you are pregnant, talk to your doctor before seeking out a paraffin pedicure. Additionally, for sanitary reasons, make sure your salon or spa uses new wax for each customer. I love that St. Nails does prioritize hygiene and they do make sure that they uses new wax for each customer and they don't use the same machine that they used on the hands. 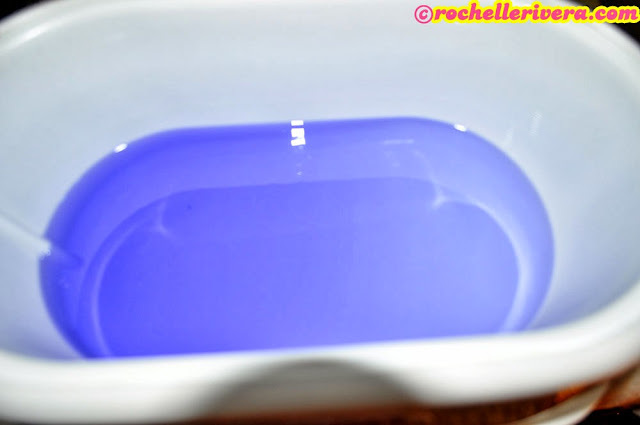 Paraffin wax is put on the skin as a warm liquid wax and allowed to cool and harden. The heat from the wax is absorbed by the skin, increasing blood circulation, rejuvenating the skin and relieving sore, painful muscles or joints. The skin is the wrapped in a plastic wrap and warm towel for 10 minutes. 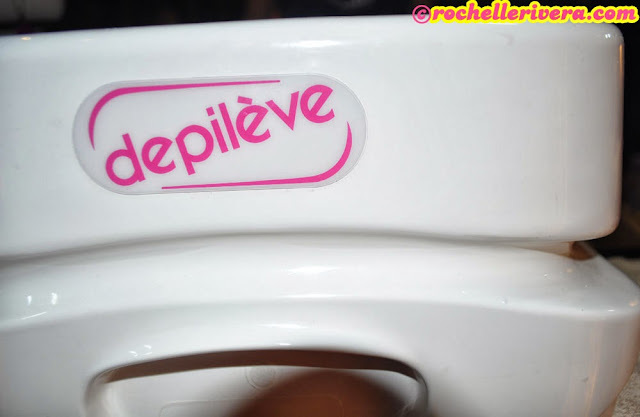 It is then peeled off. 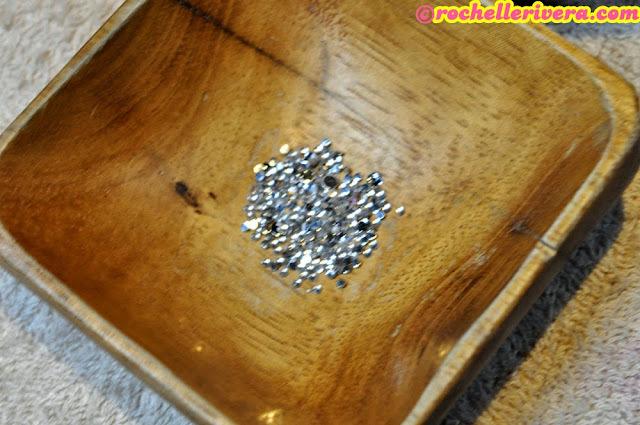 It was a very relaxing treatment and I really find that it helps with my dry skin on my hands. I really love the results! 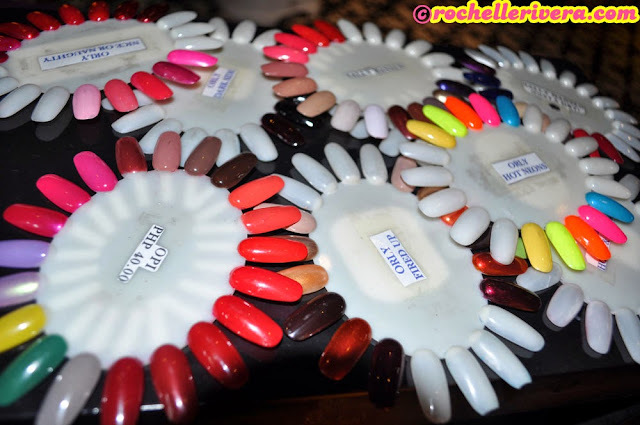 St.Nails also keeps up with the trend by offering the latest and greatest nail care services and fashion. 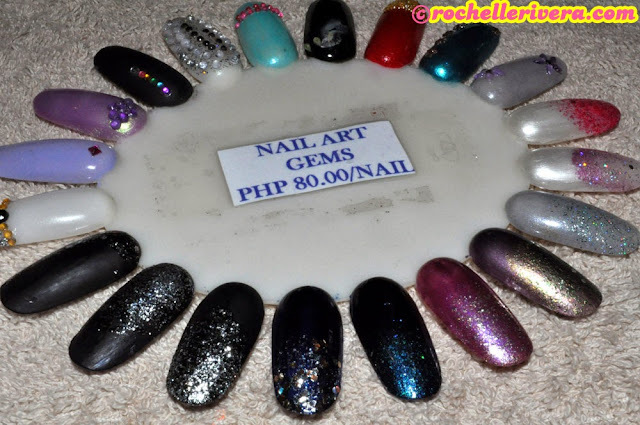 Here is an example of Nail Art gems that I will definitely want to get for special occasions. 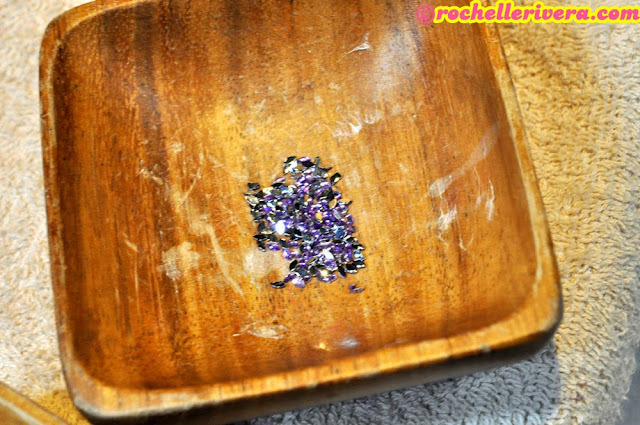 Nail art gems are a simple way to create gorgeous nail art designs. It will sure add a touch of glamour to nails! 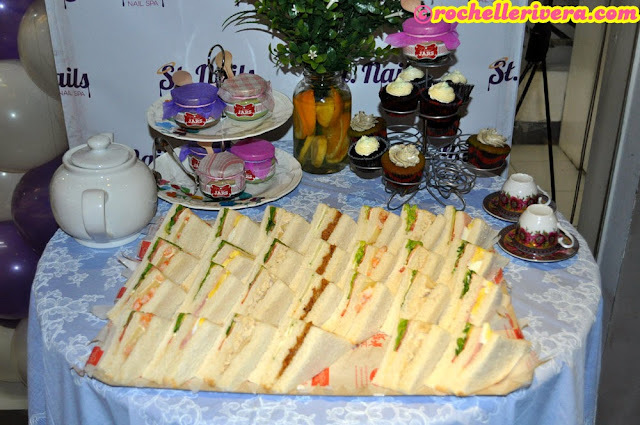 I love that they also served yummy refreshments: sandwiches, cupcakes and a choice of drinks: hot tea or iced tea. I also love that cute mini spreads ♥ It was like a table of an English afternoon tea. I felt badly that I had to hurry home due to an emergency, that I did not have the chance to get my nail polish, but definitely again I will be back in here. 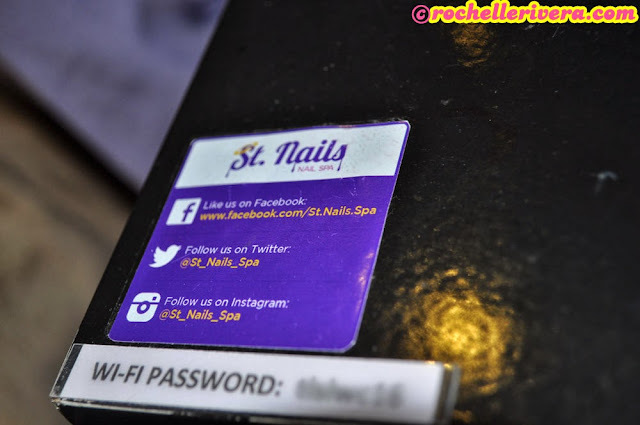 ♥ I highly recommend St. Nails NAIL SPA to everyone looking a place for pampering needs that you deserved and with the services you availed, you will also be helping our kababayans who are less fortunate. 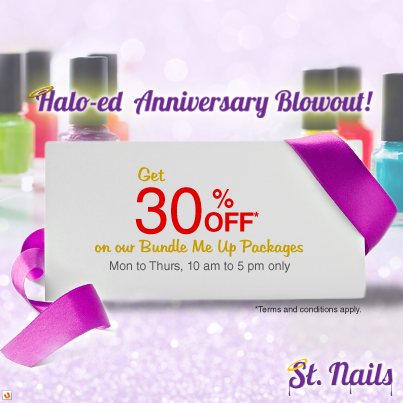 ♥ I lived with the words saying "We are blessed to be a blessing to others"
Visit St. Nails today and have your HALO-ed experience! OPEN from: 10:00 A.M.- 11:00 P.M. I love nail arts especially with rhinestones.. and after pampering, there's a drool part lol. yummy sandwiches!!! Its nice to know about this place :) Hope they'll have more branches soon. I always wondered what happens when you do a paraffin treatment. I was told that it's for sweaty hands or pasma ones so I never opted to try it (I have very dry and rough hands). But then you said it's for the dry ones.. I'm more than confused. Haha! Now that you blogged about it, I now have an idea how it works! Hi Kim Likewise :-) ♥ See you soon! Ang gaganda po ng mga design nila. I love it! Yes super ganda lalo na in person. 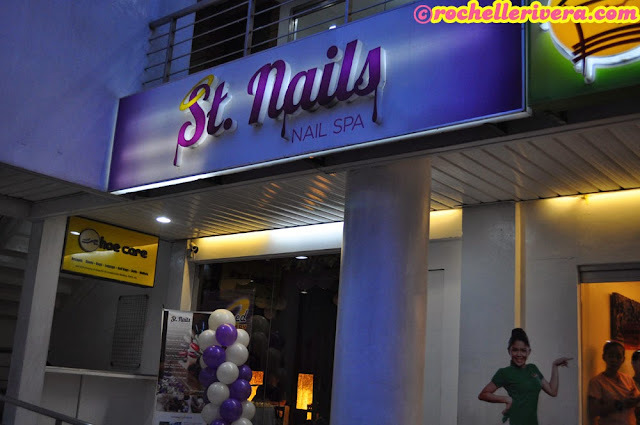 Eto na yung Nail Spa for me :-) You should visit it too! OMGosh! Super cool! Super I wanted to try tuloy, this is the 2nd time I saw a blog entry about it and I'm amazed every time! I have to pamper myself soon! Love their designs! Thank you! Yes you should try it! Hi Erika yes you should go visit and I love that it is for a good benefit. WOW..I amlooking forward to pamper myelf their too. hihi. Yes to pamper is the best! Good place huh :) love the designs! wanna go there someday. Yes Rhea, You should Visit St.Nails Spa soon! Yes you should Sherry, you would love it!